It’s a pretty deep quote from a guy who wears pajamas in public and climbs up walls shooting webs from his wrists, but nevertheless, it smacks of truth. There are few among us who don’t hold at least some things close to the vest. But what purpose do secrets hold? Those little lies we keep tucked away from the world…some experts say all they really do is create walls, trapping ourselves in a “you” that really isn’t you. And, it’s really hard work – day in and day out trying to keep up those appearances, justifying our actions and perhaps telling more lies to conceal the first. The question is, do we all have secrets or, in actuality, do the secrets have us? This twisted conundrum is the crux of Hartford Stage’s newest production, The Engagement Party; layers of which are deftly interwoven by playwright Samuel Baum, and expertly directed by Darko Tresnjak. What begins for Josh and Katherine as an auspicious occasion meant for joyful celebration among those who love and support the betrothed, spirals into a messy whodunit rife with secrets, lies, and unintended revelations. 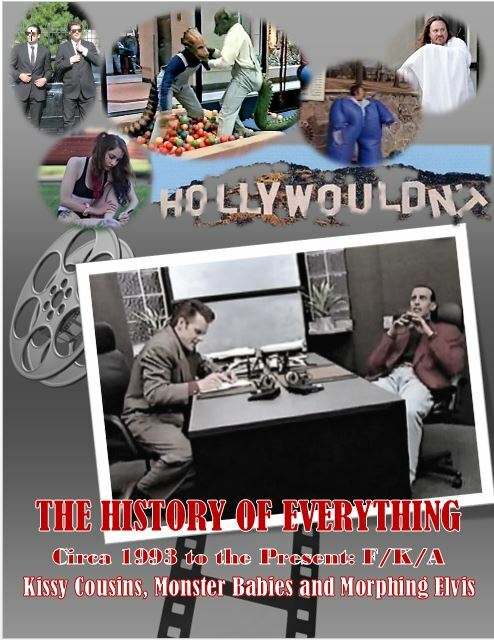 And while it’s true that no one really knows what goes on behind closed doors, one would hardly expect such dirty, little (and in some cases big) deceptions to be festering behind the carefully constructed facades of the eight beautiful people who sit and eat pickles in the perfectly appointed Park Avenue apartment. The Upper East Side assemblage begins nicely enough. Katherine has set a lovely table, beverages are free flowing, and the opulent home passes the white-glove test with an A-plus-plus. Katherine’s parents, the stuffy, upper-crust Conrad and Gail, are the first to arrive and conversations are easy (or are they?). Old friends soon join them – Alan, the perpetually single “communist” who keeps only enough of his money to survive, donating the rest to the needy; Kai and Haley, the frustrated and struggling new parents of a nine-month-old; and finally Johnny, Josh’s childhood pal, a loud-mouthed military dude with a heart of gold, who one can clearly see doesn’t quite fit in with the rest of the white-shoe crowd yet he belongs there nonetheless. But a puzzling event during the meal has everyone bewildered and scratching their heads – that is until the claws come out and they’re scratching at each other. You know, the way stress always seems to make people agitated and irritable? Before long, everyone’s skeletons come out; stories which are different yet have a surprising interconnectedness, and much of which is ugly, even shocking. The situation has you wondering right up until the final curtain, how it will all pan out. Zach Appelman as Josh and Beth Riesgraf as Katherine are spot-on as the moneyed millennials, swooning over each other until possibly, they are not. Richard Bekins and Mia Dillon as Conrad and Gail, respectively, play the pretentious parents who are not only rolling in the riches but also in the grossest of mendacities. Teddy Bergman as Alan is the nebbishy college friend whose worst hang-up is probably being hung-up on Katherine. Brian Lee Hyunh is terrific as Kai, the guy with quite a heavy chip on his shoulder, somewhat oddly paired with the addled Haley, played by Anne Troup. Last, but not least is Brian Patrick Murphy as Johnny, who is possibly the most genuine of the group – a bit brash, but never trying to be something he’s not and maybe the true voice of reason throughout the entire fiasco of a party. Darko Tresnjak never, ever disappoints and under his direction, The Engagement Party is a tornado of a confection which almost literally tears through the affianced couple’s lavish digs – kudos to Alexander Dodge for scenic design – I’ve jotted down a few notes for some décor ideas for my own new place. Shout-outs to Joshua Pearson for costume design (I want Katherine’s outfit! ); Matthew Richards for lighting design; Jane Shaw for sound design; Greg Webster for fight choreography; and Elizabeth Williamson as Dramaturg, as well as the rest of the talented production staff. Like lipstick on a pig, you can’t pretty up something (or someone) when they’re downright dirty underneath. Lies are apt to come out eventually. But this is no lie – The Engagement Party is far more entertaining to its audience than I imagine it would be to its fictional characters, so buy a glass of wine or a Bloody Mary at the bar and sit back for a delightful 80 minutes of engaging theatre. 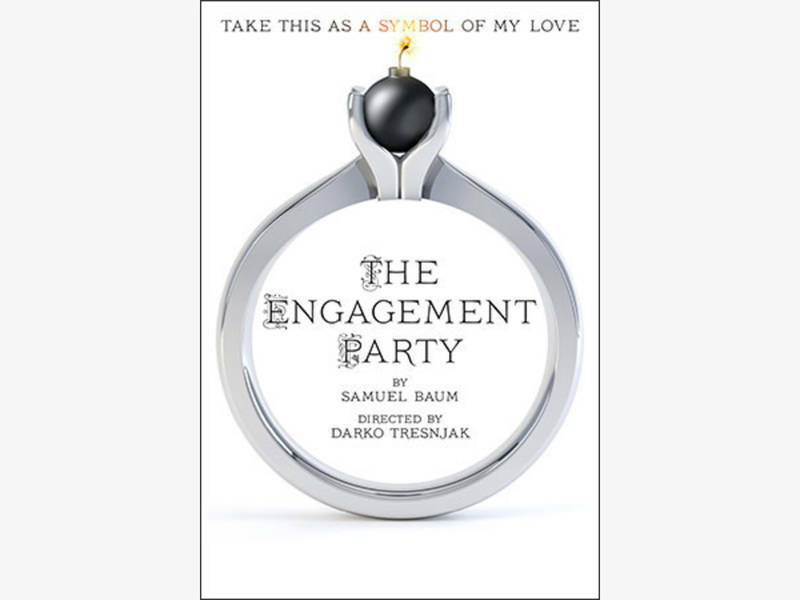 Samuel Baum’s The Engagement Party begins like countless “ritualistic ceremonies” where people who are bonded by common threads and/or life experiences come together and celebrate their friendship. And, like in myriad other stories of the same ilk, the seeds of discord and distrust are planted and by the end of the play all sheds of civility of ripped asunder leaving a melee like the end of Lord of the Flies. Indeed, the themes and motifs covered by Baum’s play are far from sui generis. One is immediately reminded of Ayad Akhtar’s Disgraced. Or any novel by Dickens or Trollope where the surface of a ripe red apple makes your mouth water until you slice into to find it filled with maggots and worms. What is different about The Engagement Party is the longstanding layer of lies and deception that go back years only to be revealed as easily as one does slice that apple. I almost feel like the play does itself and injustice by just being 80 minutes. 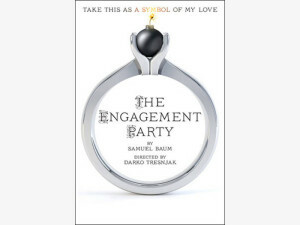 The back stories leave me hungry for more fodder and I could easily see The Engagement Party as a novel or, in this day of VOD platforms, a television series (much like Mr. Baum’s television creation Lie to Me). The opening begins much like the opening of a Friends’ sitcom episode. An engaged couple (Josh and Kate) invites several of their close friends and family to an engagement party. Did I say the couple is rich? We are talking Crazy Rich Asians rich – Kate’s bauble for example, which was exclusively designed for her, cost $300,000. It seems that Kate comes from old money, her father and mother, Conrad and Gail, came straight off the Mayflower. Josh, a Horatio Alger graduate, was a poor Jewish kid from Canarsie, who worked his way up through the ranks of securities until he became a hedge fund kingpin at 30. Haley, Kate’s best friend from ivy league ranks, a research scientist, is there with her husband, Kai, who was a close friend of Josh and now works for him. Rounding out this eclectic assortment of revelers is Alan, a professor and socialist, along with Johnny from the old neighborhood. Sparks start to fly (as well as the accusations) when Kate’s $300,000 engagement ring goes missing. Then the Friends episodic tenor becomes more like that of Breaking Bad, where lies, deceit, and secrets flow like crystal meth. 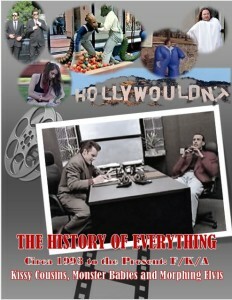 While the plot may be somewhat derivative and predictable, the acting and directing are worth the price of admission. Zach Appelman (Josh) and Beth Riesgraf (Katherine) are the perfect Ken and Barbie dolls and the fact that they are rich and live in a two-story, beautifully presented on a rotating stage, made me dislike them immediately. Without giving away too much, I knew that Richard Bekins (Conrad) was to be the antithesis of a Puritan background. Besides, how can you possibly trust someone who can spot a double Windsor knotted tie in this age of biz casual? Mia Dillon gave her usual nuanced and layered performance as Gail as did Brian Lee Huynh (Kai) and Anne Troup (Haley). Special kudos go to Brian Patrick Murphy who played Johnny, Josh’s childhood friend from Canarsie. I am glad they invited him. The party would definitely not have been as lively or entertaining without him. Dark Tresnjak is a visionary director. Pillow Talking has seen many of his more complex endeavors in the past. If truth be told, the simplicity of The Engagement Party seemed like a lark for Mr. Tresnjak’s abilities – that or perhaps a guilty pleasure. At any rate, I know one thing. If a $300,000 ring of mine went missing during a party of close friends, I’d demand all to be searched, frisked, and swept with metal detectors before leaving. Hmmmm…maybe that’s why I do not have any close friends.